It’s just about time to say goodbye to Melrose again and head back to Central Victoria. 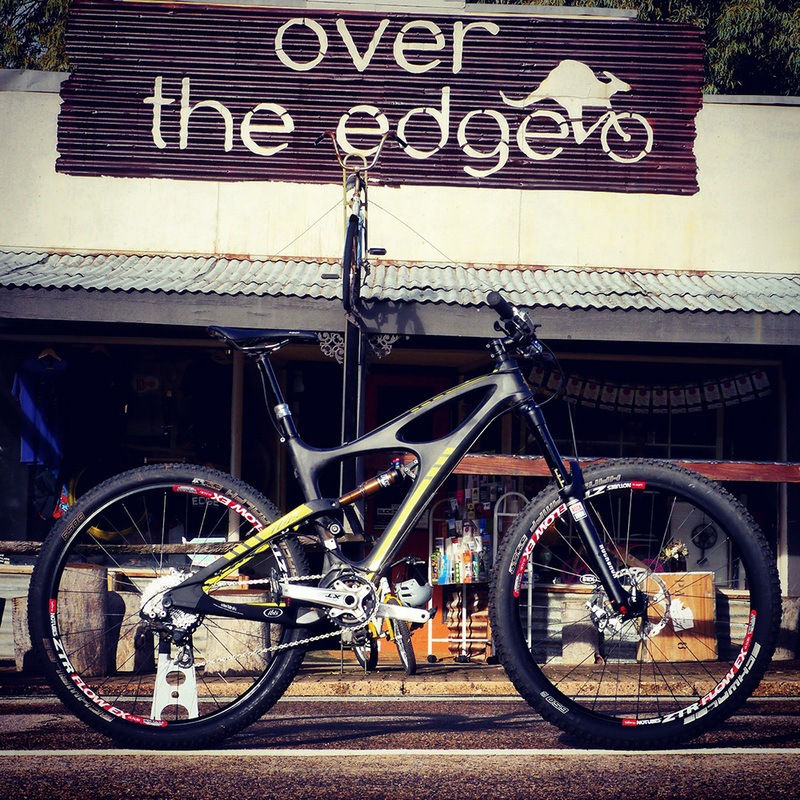 It’s been a great few weeks – sweet trails set in a spectacular Oz landscape, a cool new bike from Ibis to roll on, and an epic Fat Tyre Festival. But the heart of this MTB wonderland are the welcoming folk that call this little town nestled at the foot of Mt Remarkable their home. Until next time Melrose, rubber side down! Fitting the 2014 RockShox Pike 27.5 fork on the Ibis Mojo HDR yesterday I was kinda reminded of my first suspension fork – the RockShox Mag 20. With noodle-like 25.4mm stanchions and theoretical 48mm of travel, back in 1992 it was state of the art. Compared to modern forks it didn’t really do much but with the gold magnesium lowers it wasn’t short on bling, but more than that you just knew it symbolized the start of the MTB suspension revolution. Ibis Mojo HDR 650b Conversion: Like it both ways! While the Ibis Mojo HDR features the molding technology found in the SL-R (strength of the HD but lighter!) and ISCG compatibility, its neatest trick is its ability to convert from the renowned 160mm 26″ beast that the HD is to a 130mm travel 650b bike with low bottom bracket and a ~67.1 head angle. Ibis have built a new rear triangle with clearance suited for 650b wheels with 27.5″ tires up 2.35″ in size. It’s about a 12 hour drive to Melrose from Central Victoria but you forget all of that in the final few kilometers as the road swings directly toward the side of Mt Remarkable. Driving fatigue is replaced with a serious hankering to get on the MTB and hit the trails ASAP. So that’s what I did. A quick run down Dodging Bullets and the Northern Mini Super D got the eyes open and blood pumping in no time. Last August I was fortunate to spend a couple of weeks in Melrose South Australia. If you’ve been a good mountain biker I reckon you go to Melrose when you die, to spend eternity riding the flowing trails on the side of Mt Remarkable. Melrose has no shortage of sweet hand made single track but for locals and visitors alike it’s always fun to have somewhere new/different to ride. Rich and Al from Over the Edge have long been working on a plan to add a new gravity/flow run to Bartagunyah trails, a 2000+ acre rolling property on the edge of town which Al’s family own and is already home to the Whiskey Trail. Pretty cool when you think about – a huge property chock full of great MTB terrain owned by folk into biking and located just on the edge of town! Ever wonder where trail fairies come from? There’s a good chance they’re spawned along Weaving Camels, a magical little MTB trail at Melrose, South Australia. With its lush green carpet, giant gums and babbling brook it’s straight out of a story book. The trail weaves its way through stands of River Red Gums (Camaldulensis) hence its name I guess!